The 10 Best Lunch Spots in West Virginia! One could argue that our midday meal is the most important! A good lunch keeps you moving through the work day, school day, or day of running errands. Whether you’re looking for something quick to eat on the go, or the perfect spot for a lunch date with your friends, West Virginia has something to suit your needs. Here are 10 of the best spots to grab a hearty lunch in the state. 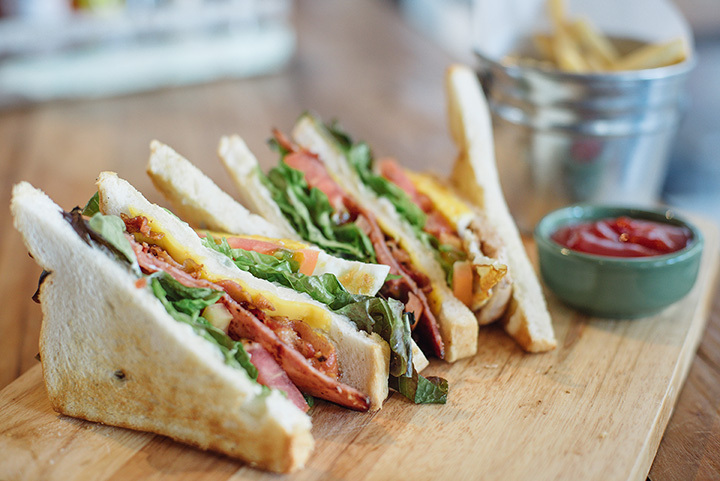 With two locations in Charleston and Huntington, West Virginia, Sabatino’s Sandwich Kitchen combines culinary and food industry experience into a unique sandwich shop. Home of the original cheesesteak, made from fresh cut sirloin steak, white American cheese, grilled onions, green peppers, and mushrooms, full-flavor is what you can expect here. If you want a great little lunch spot that’s clean, has fast friendly service, and great food, then you’ll want to visit Ye Olde Alpha in Wheeling, West Virginia. The extensive menu offers American, Greek, and Mexican culinary treats that are house-made and large portions will be sure to satisfy your hunger. They have something special like Mexican Monday, Tuesday Night Wing Night, Buy One Appetizer Get One Half-Price Wednesday, Thursday Soup Contest, and weekend specials. From wings to salads, to burgers, you’ll never be bored with the choices, like the popular Duck Burger, made from ground duck, bourbon barbecue, Swiss cheese, and candied bacon on a grilled brioche. Located not far from the beautiful Blackwater Falls area, Hellbenders Burritos in David, West Virginia, is a perfect little spot to stop for lunch. Good service and huge portions of great food, this is not a fast food place. Closed on Mondays and Tuesdays, you won’t find traditional Mexican food here. These burritos are inspired by West Virginia and made from only fresh ingredients. Try the HooDoo VooDoo, a New Orleans burrito with an olive oil tapenade, shredded carrots, lettuce, tomatoes, feta cheese, and garlic mayonnaise or the Treehugger, a broccoli, mushroom, peppers, onion, black olive, sour cream, cheddar jack cheese, and guacamole burrito served with salsa and rice. Vegan-friendly, too. This little hometown restaurant is big on service, flavor, and value. The Root Beer Shack in Parkersburg, West Virginia, invites you to try one of their foot-long hot dogs nestled in a grilled bun and covered with sauce or slaw. The perfect side and drink is an order of seasoned fries and a tall, cold root beer float. If you have room for dessert, you have to taste the deep-fried Oreos. Great food will have you coming back for more. Great food, great location, and great prices are what you’ll find at the Grind in Morgantown, West Virginia. This quaint little coffee shop is known for its spectacular coffee and lattes, but it’s a great place to a quick lunch, too. Better food and more of it than fast food places, and a much more relaxed atmosphere. Located near West Virginia University, there’s usually a large college crowd, but the service is still quick. Locally owned and operated, Maloney’s Pub in Summersville, West Virginia, is a great little local spot where you can sit back, relax, and enjoy lunch in a casual atmosphere. Don’t let the unassuming outside fool you. Inside is a great selection of beer to accompany your wings, burger, or sandwich. Join other local musicians for a jam session the first Sunday of each month. Enjoy a quick and delicious lunch from the comfort of your car at King Tut Drive-In in Beckley, West Virginia. Food is made fresh each day at this little original drive-in restaurant that’s been around for almost 70 years. Pickle fries, sweet potato fries, mac and cheese bites, and onion petals are just a few of the appetizers you can choose while you’re waiting for your main meal. You name it and you can probably find it here. From Reuben sandwiches to meatball hoagies, pizza burgers, ham sandwiches, and hot dogs, your taste buds will thank you. Everything at Bob’s is cooked to order and you’ll find this homey little eatery to be comfortable and friendly. Open for breakfast and lunch since 2003, they have over 250 types of hotdogs, 35 burgers choices, 50 breakfast/biscuits foods, and over 30 other sandwiches. You’ve got to try this place! Breakfast or brunch, you’ll find what satisfies your appetite at Betty’s Restaurant in Shepherdstown, West Virginia. A very popular place for lunch, this little eatery fills up fast, but the service is still quick, and everything is prepared fresh. Great burgers and fries as well as grilled cheese and club sandwiches. A diamond in the rough, My Mother’s Daughter in Clarksburg, West Virginia, serves up great food and great customer service. Try the turkey pesto panini or spaghetti grilled cheese sandwich. They have a variety of fresh soups made daily. This might be a small shop, but you’ll experience huge flavor and come back for more.